I have tried be selective in the links given here, limiting them to those that seem genuinely useful. A search with a general search engine will provide plenty more, as will some of the links provided by pages listed here. If you have any suggestions for links to sites or pages you have found particularly helpful, please send them to me. Links change and fade with surprising speed and if any of the links here no longer works, let me know. The National Library of Ireland—Leabharlann Náisiúnta na hÉireann has mounted an excellent exhibition about Yeats, in all his aspects, and has included a fair portion on Yeats's esoteric interests including A Vision. Most importantly, it also offers on-line access to the exhibition — it requires Flash and Broadband but is very full and will repay plenty of browsing (sadly there are a few features, such as the "Turn the page" view of Yeats manuscripts, that have been "Coming Soon" for a few years now). It opened on 25 May 2006 and appears to be continuing indefinitely (it was due to close in 2010); however, the virtual exhibition will continue to be available after the exhibition closes. Beyond that, of particular interest is the catalogue of Yeats’s Occult Papers as Acrobat pdf, compiled by Peter Kenny, and including the Automatic Script, which is cross-referenced to Yeats’s 'Vision' Papers. The Yeatses’ library is now housed at the National Library, and there is a new catalogue of this available at The W.B. and George Yeats Library: A Short-Title Catalog which can be viewed on-line or downloaded as a PDF file (the PDF version is also available here). This catalogue was compiled by Wayne K. Chapman and is hosted at Clemson University in South Carolina; it is referred to in the bibliography here as WBGYL. One of the fullest resources available is Bruce Stewart's site, Ricorso.net, an Irish literature resource, which includes a very full chronology, list of works and bibliography, extracts from criticism and longer extracts from notable works both by and on Yeats, as well as plenty more. You can access an alphabetical list here and navigate from there. It is text-heavy and minimal in presentation, but does so for speed of loading and fullness—see here for a summary of the resources and approach. In 2008 the US National Endowment for the Humanities sponsored an Institute for College and University Teachers, "W.B. Yeats: A Reassessment", a four-week-long discussion and meeting on Yeats in Ireland. This produced a Final Report which gave an interesting and useful survey of the situation of Yeats studies at present. Section III is on "A Vision and the System". Since the site seems to have become obsolete and the report unavailable, I offer the relevant section here, though if there are any objections or problems with copyright, please contact me and I shall remove it immediately. An interesting radio programme on "Yeats and Mysticism" from 2002, featuring contributions by Roy Foster, Warwick Gould and Brenda Maddox examines Yeats's occult and spiritual interests, as does a short film that is part of the National Library exhibit (only the first few minutes are available on line, however). 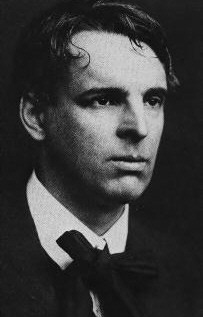 The Yeats Society of New York offers a number of resources, though the redesigned site offers far fewer links than before and is not particularly clear for navigation. The Open Directory Project, "dmoz", itself a set of further links. The Yeats Society Sligo, including information on the Yeats International Summer Schools. Frank L. Ludwig’s photographs of Yeats country gives pictures of the Sligo countryside evoked in the poetry, such as Ben Bulben, Knocknarea and the Hawk’s Well. The full visual index is slow to load but offers a beautiful survey in itself. The best chronology is John Kelly’s A W. B. Yeats Chronology (see also Google books). This single volume is based upon the chronologies at the beginnings of the separate volumes of the Collected Letters (general editor, John Kelly), where detailed entries appear for the years covered by the volume in question, and a broader outline for the rest of Yeats’s life. The chronology given on this site (in the Overview) is mainly drawn from this. When dealing with texts, there are many problems with web editions. The very best are excellent and have the added advantage of being searchable, but are still not as easily or reliably referred to as a printed book—and for those published before 1923, the archived scans of the individual volumes available at Archive.org are almost always the best option. Two caveats: be careful here to distinguish between scans of original volumes and electronic editions (which generally come first on the lists), and be aware that Yeats changed poems after their publication so that original or earlier printings will not always match the later ones. As for other on-line sites, unfortunately few on-line texts are excellent. Many are good, having been put up by projects such as Project Gutenberg, which has standards of proof-reading, and the same goes for many other sites, including those of public-minded enthusiasts. There is still the problem that there is usually no indication of editorial principles, the actual provenance of the text or copy-text and what variants might be involved (a real problem with a poet who changed text, as a glance at the Variorum Poems shows). They provide a great service and are very useful in providing a reading text, but not a substitute for the book at a scholarly level. It is not always easy to distinguish the good sites, though, from the rather poor sites. Rather poor sites are technically accurate for spelling etc. but often have cuts or don't indicate that they are only part of a text. In this sense rather poor sites can be more dangerous that really poor sites. And when you are dealing with literature, really poor, meaning mis-spellings, mis-scannings, missing words, lines or paragraphs, is really appalling. YouTube offers Yeats reading his poetry with short introductions—a tantalising and fascinating glimpse of Yeats's own poetic practice. There are also of course numerous readings and settings of the poems by others on YouTube and elsewhere too. These include some that are commercially available, of which the most comprehensive venture is that by Doug Lee Saum who is gradually setting most of Yeats's lyrics in a distinctive style mixing folk, jazz, rock and blues influences. Better known are the settings of the Waterboys, whose show "An Appointment with Mr Yeats" has its own Facebook page. There are many individual poems set and interpreted by a wide variety of artists including Christy Moore, Donovan, Judy Collins (these three links to the "Song of Wandering Aengus"). California State University, Northridge, poems arranged by volume and arranged by title. The Literature Network’s Online Literature: Yeats, gives texts of better-known poems. Warren Wedin’s Seminar Resources for his course at California State University, Northridge, lists critical material, divided into books, journal articles, and articles in books, last updated in 2002. The Yeats Annual, edited by Warwick Gould, with Palgrave until 2007 and with Open Book Publishers since then.